Every year, on the day after Halloween, I start to see “30 Days of Thanks” statuses go up on Facebook. I’ve participated in the past, and I enjoy reading the posts by others, but on day one this year, I was able to sum up my entire thirty days in one word: grace. That’s it. I have months and months and a lifetime’s worth of status updates that I could write about why I’m thankful, but it all comes down to grace. It’s why I have a beautiful family and a wonderful husband. It’s why we have money in the bank, and food on our plates and a roof over our heads. It’s why I am allowed to open my eyes each morning, breathe in the air, and live another day. It’s why even after all these years, after all the times I’ve messed up and complained and forgotten and ignored and questioned His love for me, God continues to love and bless and delight in me. ME. A sinner… saved by nothing but grace. So tomorrow we will be in the presence of family and friends that we love dearly and don’t get to see nearly enough, and my thought again is of the immense grace that I’ve been given. 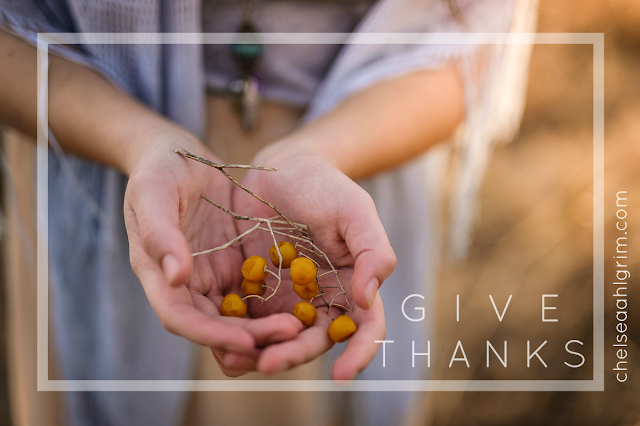 I hope that this Thanksgiving you are grace-filled, and grace-giving in the presence of the ones you love. Okay folks. Christmas is hot on our heels and we are powerless to stop it. I'm not one of those early-Christmas-bandwagon-jumpers. I do NOT like decorating for Christmas. I like having the decorations up, but I don't like to be the one that has to drag it out, dust it off, vacuum it up, hammer in the nails, hang the lights, etc etc. (Who's coming to decorate for me?) 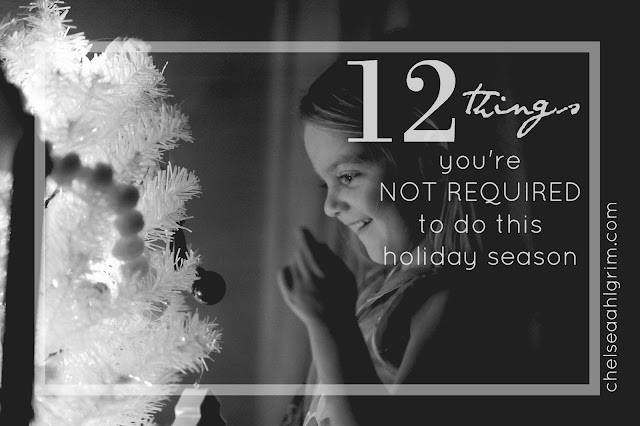 And because I'm a holiday procrastinator, they always seem to sneak up on me. If you're like me, you're literally (figuratively) having a full-blown (highly exaggerated) panic attack thinking about all the things that'll have to be done and bought and dusted with glitter before Christmas. *Please note that this is in no way intended to be considered a complete list, and you may extend your "not required" to any activity in which you do not honestly wish to participate. You're welcome.